Just add water to Scrub ‘n Erase® stains, marks, and scuffs from around your home. 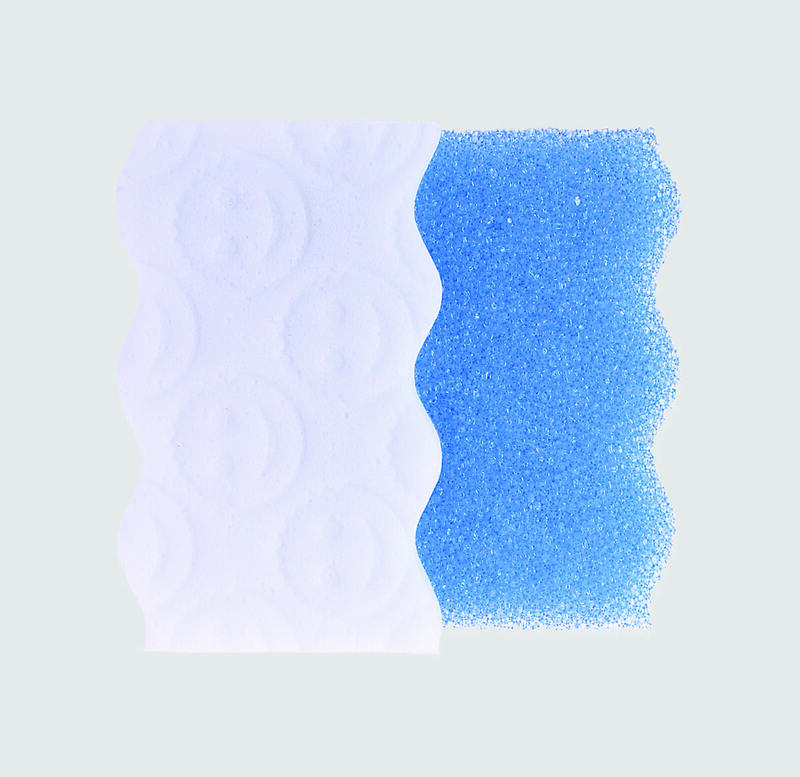 Scrub away surface debris with the FlexTexture® side first. 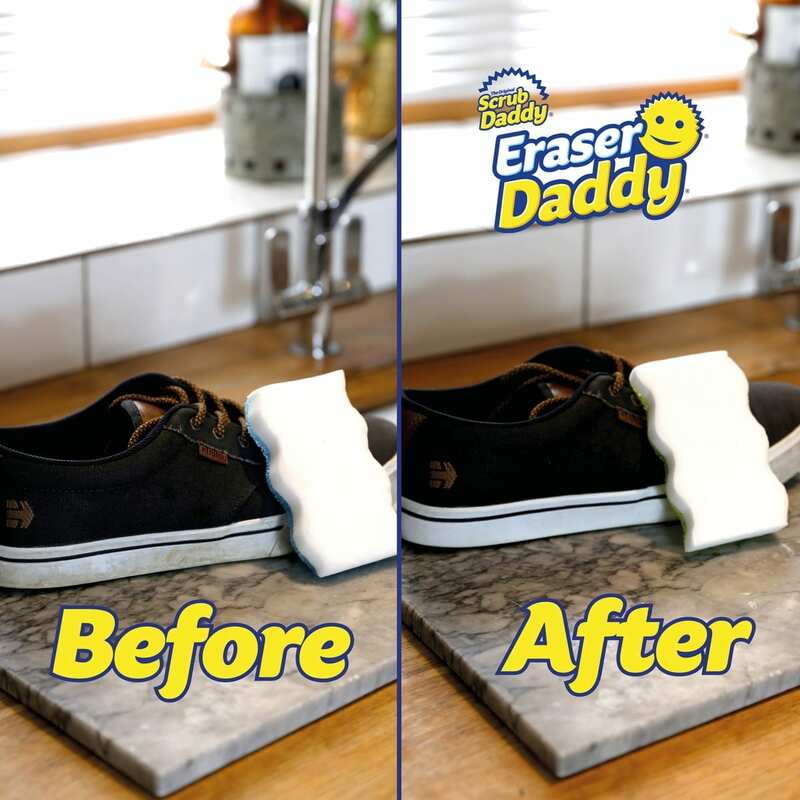 Say goodbye to scuff marks, stubborn stains, crayon smears and so much more! 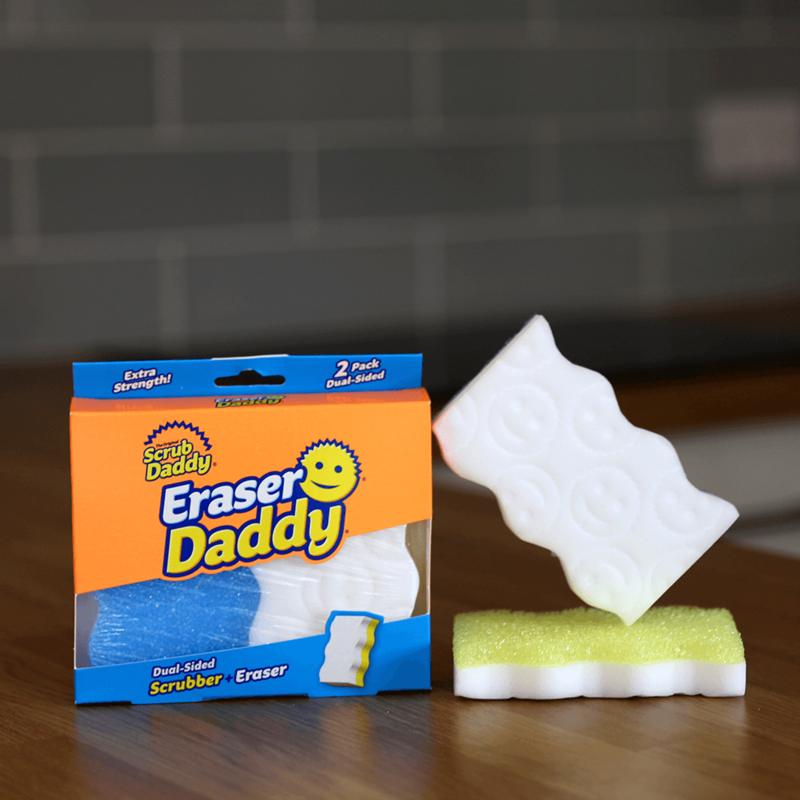 Eraser Daddy is your new and improved dual-sided household eraser. Flextexture foam is bonded to water-activated PowErase material and wipes away dirt in seconds, bringing new life to skirting boards, tile, lawn furniture, even your favourite trainers! Great addition to my cleaning cupboard. 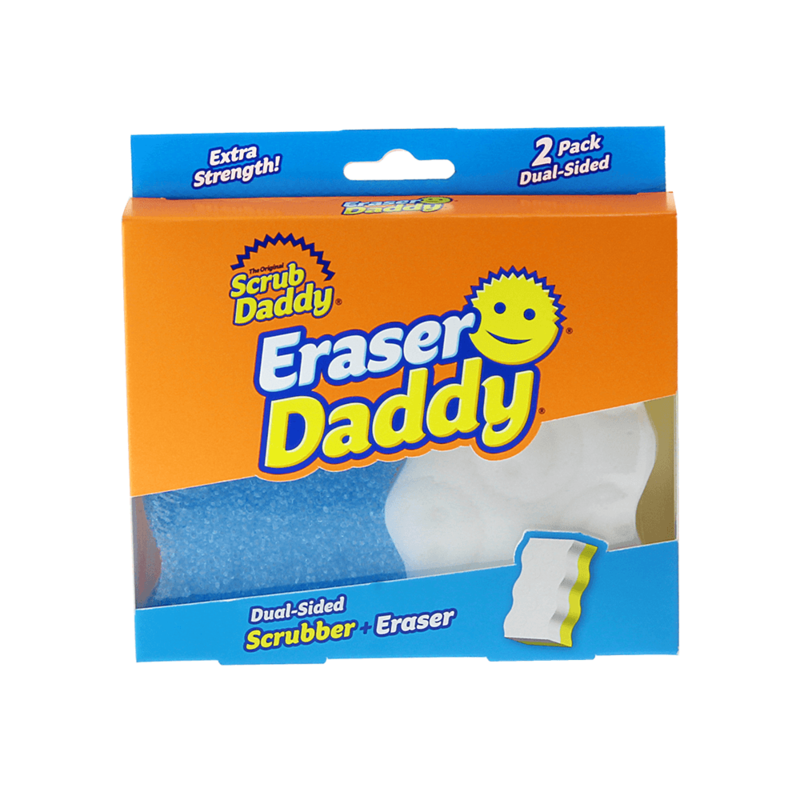 There are Similar products out there but I feel I get more hours out of the scrubdaddy version! Depending on the task they work well without product but power through stubborn areas with appropriate product too. They didn’t seem to rip easily either, I think the top coat helps keep them intact. !